Always use the correct size and type of battery specified by the device manufacturer. Remove batteries from a device when it is not expected to be in use for several months and while it is being powered by household (AC) current. Extreme temperatures reduce battery performance. Store batteries in a dry place at normal room temperature. Do not refrigerate Duracell batteries as this will not make them last longer, and avoid putting battery-powered devices in very warm places. Some depleted batteries and batteries that are exposed to extremely high temperatures may leak. A crystalline structure may begin to form on the outside of the battery. Indicating that recycling programs for batteries and small domestic electrical appliances are in place and these articles should not be disposed of in a waste bin. We encourage you to recycle packaging as well. As part of our commitment to preserve the environment, we use only nontoxic inks in our packaging and the majority of our carton packaging is to 85% made of recycled material*. 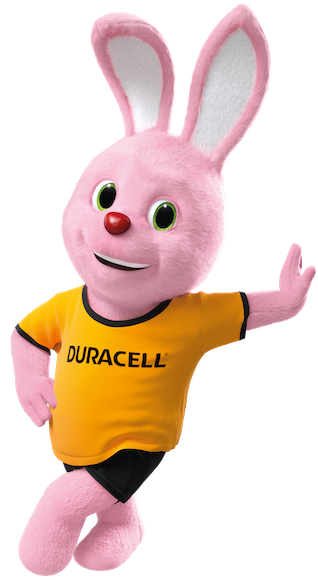 Duracell is committed to technologies that deliver more power and are less hazardous than ordinary zinc carbon batteries. Materials in Duracell batteries such as manganese dioxide, graphite, zinc, tin plated brass, nickel plated steel can be reused. Our leading premium rechargeable AA & AAA batteries can be re-charged hundreds of times.